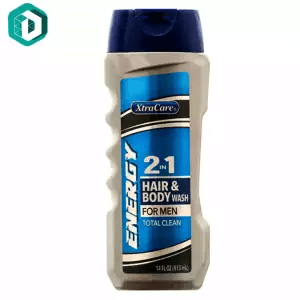 Men’s shampoos continue to evolve each day. 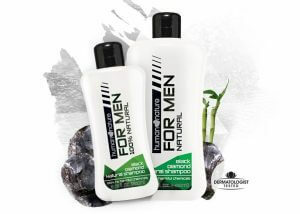 Hair growth, hair loss prevention, dandruff control, and bad odor suppression are among the many characteristics of the market’s best shampoos for men. It’s in this regard that we’re going to show you important points on how to choose a shampoo for men on the Philippine market, along with a ranked list. Please use our page to help guide you in choosing the right men’s shampoo. What’s the Difference Between Men and Women’s Shampoos? Before we tell you the points on how to choose the best shampoo for men, let’s check out the difference between shampoos for men and women. Let’s also look at the essential ingredients found in men’s shampoos. Men and women have different numbers of hormones primarily because the scalp environment is different between genders. Men tend to secrete more sebum than women. Hence, men’s shampoos tend to have relatively strong detergency. On the other hand, many women’s shampoos tend to contain both detergent and moisturizing ingredients. It’s with that reason that women’s shampoo tends to be safe to use for men but not the other way around, especially when scalp dryness is concerned. Next, we’ll introduce cleaning and active ingredients in men’s shampoos to guide you in your search for the right hair care product. Men’s shampoos on the Philippine market come with different characteristics and ingredients. However, some of them contain strong ingredients that can damage the scalp of some users. Read the following points of information carefully to help you choose a shampoo for men that’s both effective and safe to use. Choosing the right product is essential to keep the beauty and shine of your hair and scalp. 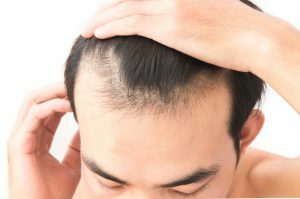 How to Stop Scalp Irritation? Some men’s shampoos contain strong ingredients that can do more harm than good to your hair and scalp. Check out the following points to help remove dirt from your hair and scalp while sticking to a non-irritating formula. We suggest using a shampoo with non-silicon natural ingredients to lessen irritation for people with sensitive scalps. Silicon shampoos give the hair a silky shine, but it can cause scalp issues like itching. Also, stiff hair can become heavy when using shampoos with silicon-based ingredients. Using a non-silicon-based shampoo allows for a gentle formulation to touch the scalp. However, these products tend to have an expensive price tag, so always check your budget. Pay attention to the ingredients of men’s shampoo before buying the product. Pay special attention for ingredients like lauryl sulfate and laureth sulfate. 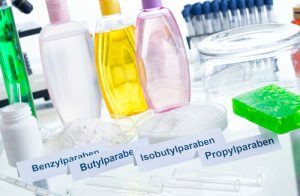 Even though these compounds have strong detergency, they may cause hair and scalp issues. Shampoos with natural ingredients, on the other hand, tend to have gentle formulas which reduce stress and burden on the scalp and hair. Glutamine, cocamide, and glycine are some organic ingredients you should look for in a men’s shampoo. However, natural shampoos for men tend to have an expensive price tag like non-silicon-based products. Products with organic ingredients are ideal for users that have the extra cash to spare who also want an effective and gentle hair and scalp care solution. It doesn’t matter how good the ingredients blend together; if the dirt isn’t cleaned off properly, then irritation can still occur. The leftover dirt can clog the pores, and the frequency of it happening increases with excess wax and sebum. As a result, the scalp becomes irritated, causing itching and stickiness. Laureth sulfate Na or Olefin sulfonate Na are compounds recommended for men who frequently use wax. These cleaning ingredients have an extremely strong detergency. Using shampoos with these ingredients can clean dirt well even when there’s wax. Shampoos with these ingredients tend to be inexpensive, so they’re boons for people on a budget. Keep in mind that these ingredients can cause great damage to the skin, so using shampoos containing them is not recommended for people with scalp or hair issues. Other similar ingredients like Coconut oil fatty acids have comparable effects so pay attention if you have sensitive skin. If you’re worried about scalp issues but you still want some cleaning power from shampoos to some extent, then choose a shampoo with ingredients that won’t put too much harm to your skin. 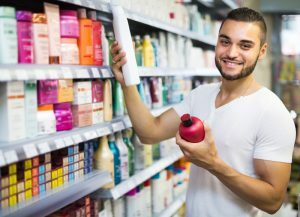 After seeing men’s shampoo with labels like “less irritation” or “for sensitive skin,” it’s important to check the ingredients first to see if it’s suitable for your skin concern. 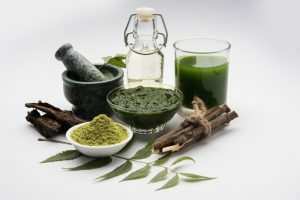 If you think the analysis of the ingredients is exaggerated, then it’s important to check and do research for yourself. Checking the included ingredients will make it easy for you to find a shampoo best suited for your hair and skin care needs. You need to take care of your scalp if you want to grow more hair or make it grow faster. However, most men’s shampoos on the market are made for cleanliness rather than hair growth. Choose shampoos with gentle formulas for sensitive skin and hair. In doing so, the product can promote hair growth without causing irritation. Keep in mind that results differ for each person regardless of the shampoo you’re using. It’s worrisome to have bad-smelling hair. The cause of your hair’s bad odor is the Malassezia fungus feeding on the excess sebum in your hair and excreting fatty acids as it does so. People concerned about the smell of their hair and scalp should look for ingredients like menthol or trichlorocarbanilide. 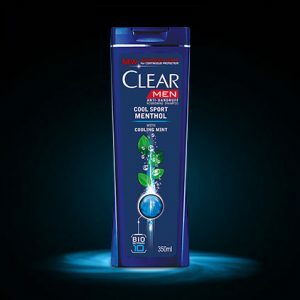 Menthol shampoos won’t just make the scalp clean, but also give off a refreshing feeling after washes. One popular ingredient is Dipotassium glycyrrhizinate. It helps to stop inflammation of the scalp. Other ingredients found to be effective in removing dandruff are piroctone olamine and salicylic acid. There are many causes of dandruff, but products with high moisturizing ingredients can help eliminate flakiness caused by dry scalp. 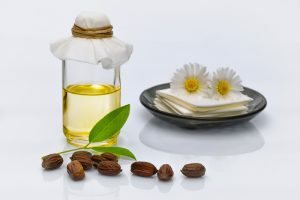 Ingredients like argan oil, jojoba oil, and camellia oil are effective in suppressing dandruff-causing dryness. In this segment, we’re going to introduce the top picks for the best shampoos for men in the Philippines. We’ve considered the necessary parameters during the selection process before we add each item to this ranked list. 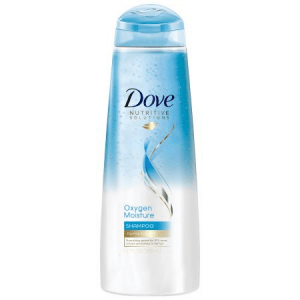 Choose a shampoo according to your personal needs and preferences. In doing so, you can keep your hair looking clean and fresh every day. 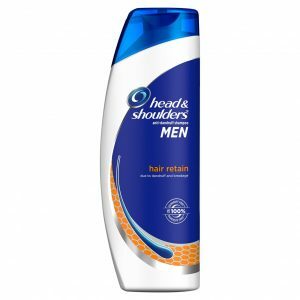 Many men have a sensitive scalp, and if you’re one of them then you should definitely check out this shampoo. Take advantage of the natural ingredients of this hair care product for a gentler cleanse, unlike using chemical-based shampoos. One of its ingredients is Sodium Cocoyl Isethionate, a natural fatty acid and surfactant that aids in binding oil, dirt, and water together. This may not lather as much as other shampoos, but you’ll have squeaky clean hair that you can flaunt wherever you go. If you don’t want to trouble yourself with frizzy hair because of the weather, then this product is ideal for you. It contains hydrolyzed keratin to help combat frizz. It also has Dimethiconol to help bring proper, non-greasy moisture to your hair and scalp. It does contain Sodium Laureth Sulfate, which may cause some issues to some users, especially those with sensitive skin. If you already found it safe to use this product then you’re going to enjoy a strong and well-spread lather with each use. This shampoo contains Eucalyptus extract to help combat dry and flaky scalp. Partnering that ingredient is a special charcoal formula to help bring a menthol-fresh fragrance and cleanliness to your hair and scalp. However, its formulation can only effectively get rid of visible flakes. Hence, if you have a severe case of dandruff then you may want to look at specially medicated shampoos instead. Still, it’s still a great choice if you want your hair to look visibly clean and fresh. Men like to have long hair too, and if you carry around long locks then this shampoo is for you. It contains ingredients to help you maintain the beauty and cleanliness of your long hair like glycerin and propylene glycol. 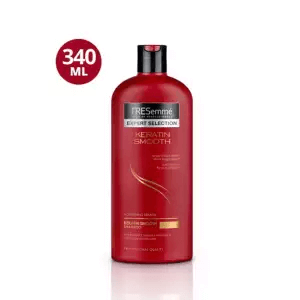 The shampoo’s glycerin content help maintains hair length and moisture. The propylene glycol enhances moisture protection in hair to prevent dry hair, which can become a common problem for people with long locks. 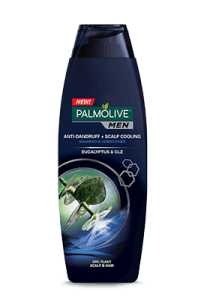 If you have dandruff caused by dry, itchy scalp, then this men’s shampoo is for you. It has Cocamidopropyl Betaine that acts as a surfactant to emulsify and cleanse the hair and scalp. Keep in mind that this compound is very strong, so it might cause some discomfort to people with sensitive skin. If you don’t have sensitive skin, then using this shampoo gives you dandruff-free and clean-looking hair thanks to its ingredients. If you’re a man who suffers from split ends, then it’s time to use this product. With its Argan oil content, it can help repair damaged hair. The shampoo also has vitamin-infused natural ingredients, like the vitamin A-rich malunggay, to stimulate hair growth and minimize hair fall. While using it, you might feel like your hair is getting stiff, but it will soften up after rinsing. This hair care product is a great way to induce a vitamin-rich experience for healthy hair and scalp. If you’re troubled by falling and thinning hair, then it’s time to use this shampoo. 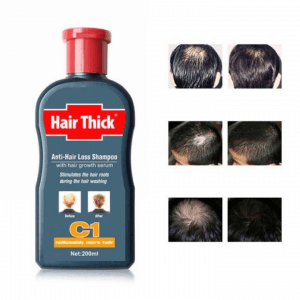 This product has Zinc carbonite as one of its main ingredients, and this compound can help in reducing hair loss. It can also assist in removing dandruff from your hair and scalp to a degree. 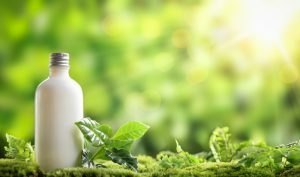 Using it may require more than the usual amount to produce a foamy lather, but in the recommended amounts it will still give you the benefits coming from its formula. It’s not often we get to see a product you can use for cleansing hair and skin, and that’s one of the factors that make this shampoo unique from the many others on the market. Take advantage of its Aloe Vera content to bring benefits to both skin and hair. This ingredient can help in preventing the signs of aging on the skin. 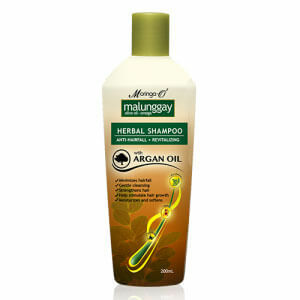 Using it on your hair helps reduce dandruff and maintains the hair’s natural pH balance. You can even use it on your facial hair if you desire. Many shampoos on the market specializing in hair growth have harsh chemicals not fit for users with sensitive skin, but that’s not the case with this shampoo. This product has a mild formula with plant extract ingredients like fleece-flower root and ginseng extracts to help stimulate hair growth. Its formula is also great for cleaning the scalp and hair for an effective way to eliminate dryness and flakiness. Men with thinning hair should take note of this shampoo as it may very well be your ticket to getting rid of bald spots. Shampoos for men vary based on several factors such as ingredients, the strength of the formula, and their benefits. Finding the right men’s shampoo doesn’t need to become complicated. However, with so many variations on the market then you might need additional assistance to help you get a sound decision. If you do need help in that regard then you can always use this page to guide you.